Angry Brisbane residents have hit out at a developer for failing to deliver on promises to build a green wall on South Brisbane apartment building, Soda. Pictures attached to a Facebook post by the West End Community Association show several plastic-potted plants sitting along an awning, none of which appear to have grown in the 12 months the block has been completed. For comparison, the association included a render of the building that was used in developer GDL Group’s application for the building – in the image, Soda was covered in significantly more foliage than the final product. Association president Erin Evans said Soda’s green walls were an example of developers under-delivering on promises to beautify their projects and create sustainable communities. “They don’t have a vested interest in this being a long term success,” she said. “If it was just one thing or one place it would be one thing, but it’s development after development after development. GDL Group was contacted for comment, but emails were not returned. Ms Evans said the Brisbane City Council should be given more power to ensure developers complied with promises to include green walls or spaces. “The government, council and the community needs to have a mechanism to make sure the ratepayers end up with good quality amenity, so we aren’t short changed,” she said. 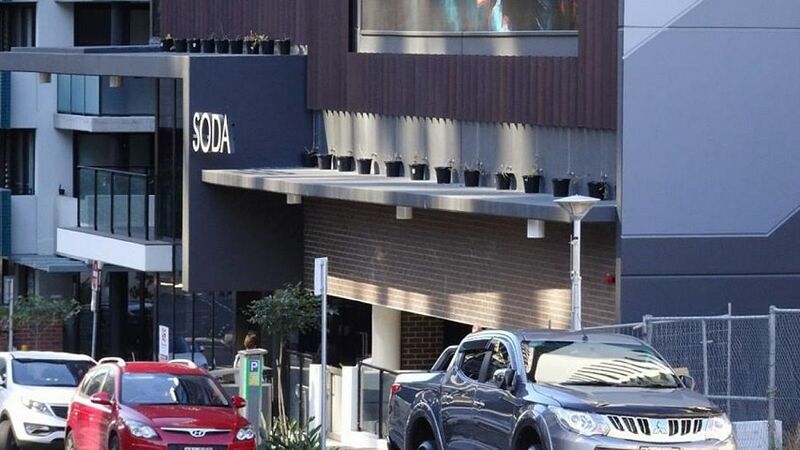 Gabba ward councillor Jonathan Sri said Soda’s failed green wall was a part of a greater trend by developers promising to include “green” in their architecture in exchange for concessions on height and other conditions. Cr Sri said if the idea was to promote sustainability and to improve livability, council should set a requirement for deep-planted trees or publicly usable land. He wanted landscaping conditions introduced as a strict requirement, to prevent repeats of Soda’s promised green walls. Ms Evans said she didn’t want the association to be pessimistic about the outcome of developments in West End and the surrounds, but felt let down by the council.